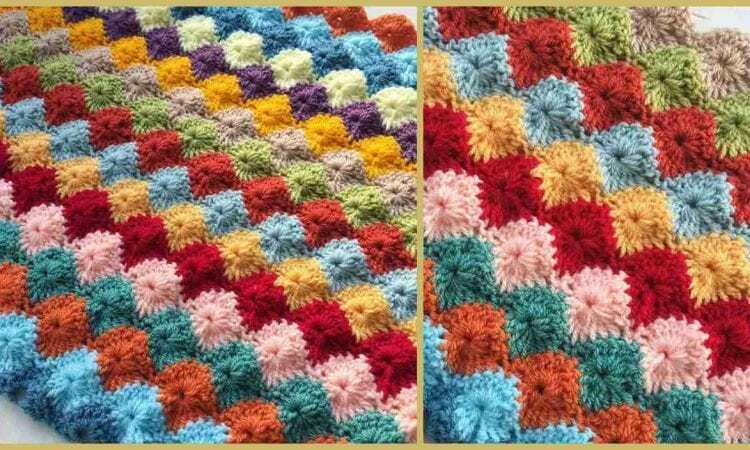 This project is a classic, well textured pattern for an easily scaled and colourful (or monochrome, your choice) afghan, blanket or throw. It’s denseness makes it very suitable for the fall or winter. Also, the fact that it is made row-by-row in a non-continuous fashion allows you to use up lengths of yarn too small to normally form into a larger project by themselves. The stitch is not particularly difficult, but the end effect is very pleasing and sure to be a winner, both for yourself and as a gift. Links to a free pattern and video tutorial are below.